Now Windows 8 Consumer preview has been launched by Microsoft. If you want to download the windows 8 then you can download it from Microsoft’s official website. It is available in both 32-bit and 64-bit OS. Microsoft has launched the Beta version or Consumer Preview for people that have almost all the features of the final product. Remember even this version may have few bugs. Installation process of Windows 8 is just same as that of Windows 7. 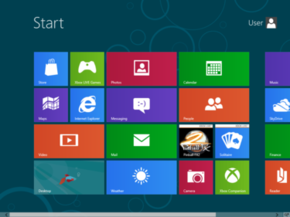 Microsoft has added a variety of new features in Windows 8. Windows 8 is completely new operating system developed by Microsoft and the final version of Windows 8 is expected to be launch in second quarter of this year.